JAKARTA, Indonesia, October 4, 2011 (ENS) – Indonesia’s President has pledged to dedicate the last three years of his administration to safeguarding his nation’s rainforests, a pledge that received broad support at a conference in Jakarta. “We must change the way we treat our forests so that they are conserved even as we drive hard to accelerate our economic growth,” said President Susilo Bambang Yudhoyono. Three sub-species of tiger once lived in Indonesia – the Bali tiger and the Javan tiger are both extinct. Only the critically endangered Sumatran tiger remains, with about 300 animals left in the wild on the Indonesian island of Sumatra. The Forests Indonesia Conference, hosted by the Center for International Forestry Research, CIFOR, last week provided a platform for 1,000 leaders of Indonesia’s government, business community and civil society, as well as foreign donors, to discuss the future of the country’s forests, the third-largest tropical forest in the world. Indonesia is losing about 1.1 million hectares of its forests each year, according to Ministry of Forestry data. Most of the loss is due to unsustainable logging that includes the conversion of forests to plantations for palm oil and the pulp and paper industry. 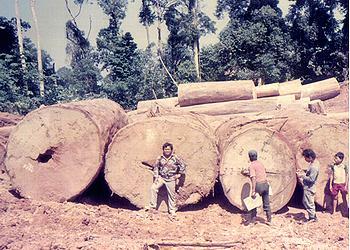 It is also partly due to large-scale illegal logging, which is estimated to cost Indonesia about $4 billion annually, according to Ministry of Environment data. In his speech, the president reiterated a 2009 pledge to cut Indonesia’s greenhouse gas emissions by up to 41 percent from business-as-usual levels by 2020. And on September 26, Yudhoyono issued a decree with a national action plan to reduce greenhouses gas emissions. These goals can only be achieved by safeguarding the country’s forests. The President has called a halt to new logging concessions. In May, the government issued a two-year moratorium on new concessions. 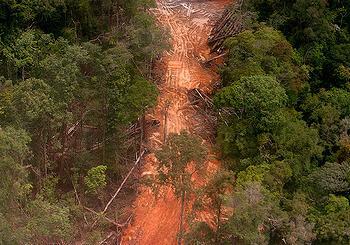 Globally, deforestation accounts for up to 20 percent of greenhouse gas emissions. But in Indonesia that figure is up to 85 percent, making the country one of the highest greenhouse gas emitters in the world. Norway has committed up to US$1 billion to help Indonesia meet its emissions reduction target. “Norway is proud of the partnership with Indonesia,” Norwegian Environment and International Development Minister Erik Solheim said at the conference. “I am pleased to be here at the Forests Indonesia Conference because the UK recognizes the importance of climate change in Indonesia,” said Jim Paice, UK Minister of State at the Department for Environment, Food and Rural Affairs. “We are pleased to be supporting the government of Indonesia’s work to meet its internationals climate change commitments,” he said. Forest industry watchers project that up to US$30 billion could flow from developed to developing countries each year to help facilitate reductions in deforestation. Indonesia may be able to claim a share of these funds through REDD+, a global mechanism for Reducing Emissions from Deforestation and forest Degradation, as well as the conservation and sustainable management of forests, and the enhancement of forest carbon stocks. Indonesia has REDD+ demonstration activities in various stages of development, and Indonesia has been an early participant in bilateral and multilateral initiatives to prepare for REDD+ implementation at the national level. Expanding agricultural production is essential to guarantee food security and promote economic growth, but in the future, Indonesia could focus agricultural development on degraded land, rather than clearing rainforest to make way for plantations or developing carbon-rich peatland. The government also could support agricultural intensification – increasing yields per hectare. 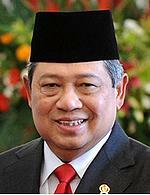 President Yudhoyono called on Indonesia’s captains of industry to adopt more sustainable forests management practices. Indonesia is receiving some help from the United States to conserve its forests on Kalimantan, the Indonesia part of the island of Borneo, which is shared with Malaysia. The United States and Indonesia Thursday signed a debt-for-nature swap agreement under the U.S. Tropical Forest Conservation Act that will reduce Indonesia’s debt payments to the U.S. government over the next eight years by nearly $28.5 million. In return, the government of Indonesia will commit these funds to support grants to protect and restore the country’s tropical forests in Kalimantan. 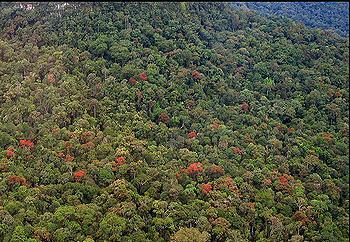 Kalimantan, Indonesian Borneo, contains some of the world’s most remote and biologically-rich forests. There are up to 15,000 different flowering plants on Borneo and the island is home to a large number of treasured animal species such as orangutans, clouded leopards, and pygmy elephants. This agreement, in partnership with World Wide Fund for Nature-Indonesia and The Nature Conservancy, will be the second debt-for-nature swap in Indonesia under the Act. 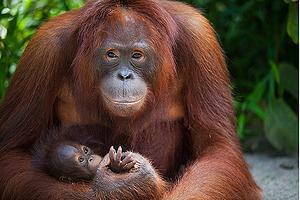 The first agreement was signed in 2009 and supports forest conservation activities on the island of Sumatra. Both of these agreements contribute to the climate change and environment objectives of the U.S.-Indonesia Comprehensive Partnership, said the U.S. State Department.